Even in the hottest part of the year, through the remainder, many parts of North America are still susceptible to large volumes of rain. Choosing the right waterproof decking is all the more important to protect your deck and the underlying structures. 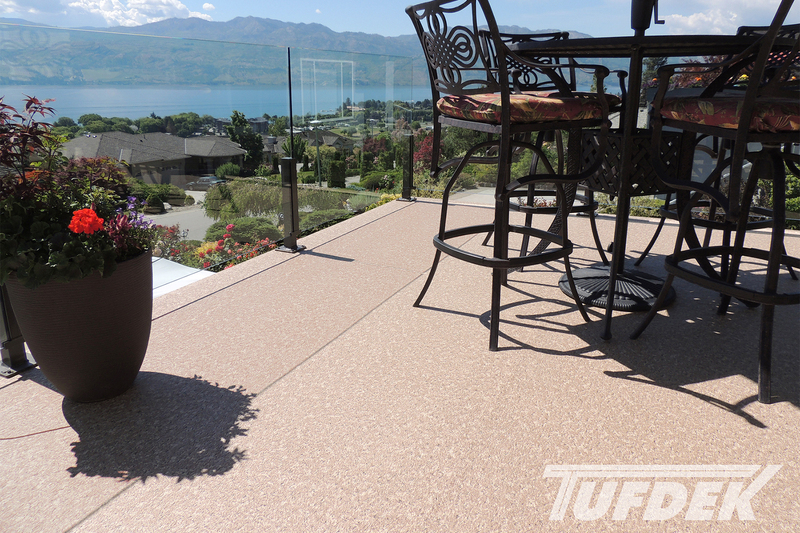 Tuff Industries explores waterproof decking and the advantages of choosing the right vinyl membrane for your project. Wood and composite decking can often get slippery in the rain (or when spilled on). This can easily create a safety issue and could result in slips and falls, which at any age are not advisable. Implementing a vinyl membrane that includes a slip-resistant surface not only offers waterproof deck protection, it increases the safety of your deck. Although many vinyl deck surfaces can be installed yourself; hiring a professional deck installer can make all the difference. Choosing professional installation will ensure that your deck is constructed to remove water, that where the edge of the deck meets your house uses appropriate flashing to keep water from entering the structure, and ensures that the vinyl membrane is installed appropriately to maximize its lifespan. Wood is not naturally resistant to the effects of damp; that is, mold and mildew. While a wood deck can be treated with stain or sealant to protect from mold and mildew, any exposed area (or surfaces which have not been treated recently) will be prone to mold, mildew and eventually rot. 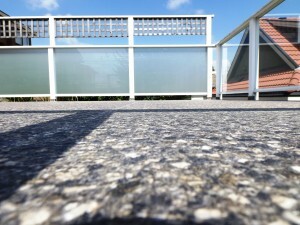 A PVC vinyl deck surface is not only completely waterproof; it is resistant to the growth of mold and mildew. The coating on a waterproof surface – while offering great things like mildew and slip resistance – it all comes together to offer a beautiful surface as well as cutting down on annual maintenance. Whereas other types of decks (wood particularly) need significant regular maintenance in order to maintain their waterproof properties, a vinyl deck surface is inherently low maintenance – simply requiring a quick clean and a light brush a few times per year. 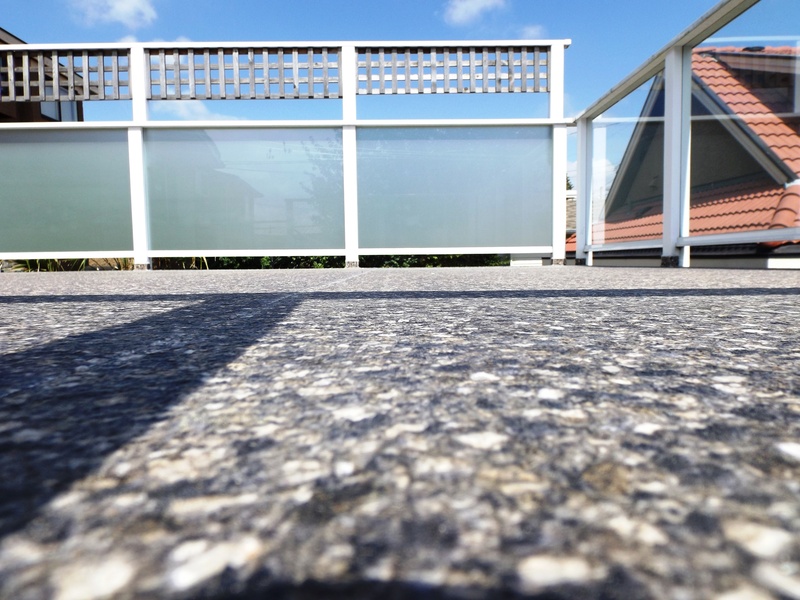 Completely waterproofing your roof deck, vinyl deck, or patio means one thing – a longer lifespan for your deck. By protecting the structure of your deck with a PVC vinyl membrane, you’re ensuring that your deck will last for the long term. Imagine that, you could install a new vinyl deck surface this year and enjoy it well into the next decade. If you live in a watery climate, consider all the benefits that waterproof vinyl decking offers – it’s well worth the investment.